General TV Channel / Radiotelevizija Slovenija is Slovenia's national public broadcasting organization. Based in the country's capital, Ljubljana, it has regional broadcasting centres in Koper and Maribor and correspondents around Slovenia, Europe and the world. RTV Slovenija's national radio services operate under the name Radio Slovenija, while the television division carries the name Televizija Slovenija or TV Slovenija. The names are sometimes Anglicized as Radio Slovenia and TV Slovenia, respectively. There are three national and four regional radio services, which can all be heard online as well. 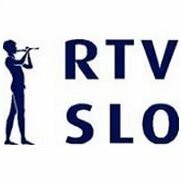 RTV Slovenija also finances the RTV Slovenia Symphony Orchestra and the RTV Slovenia Big Band.